South Sudan crisis: How did this happen? 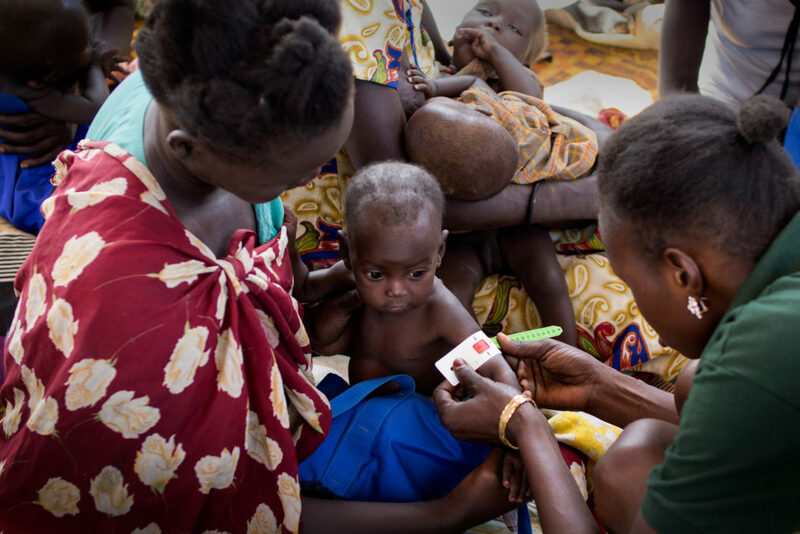 South Sudan is right now in the grip of a food crisis that threatens millions of lives. It’s a humanitarian emergency on an enormous scale — but how did it come to this? 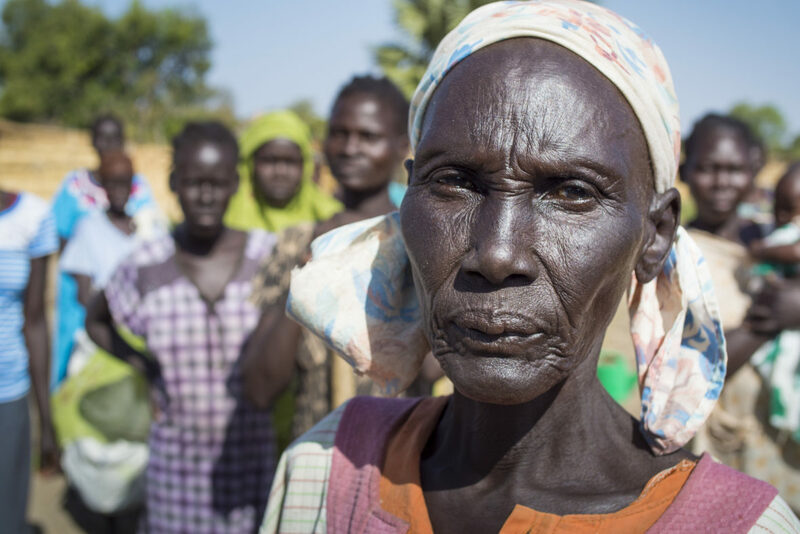 More than a third of South Sudan currently faces hunger, and ongoing conflict has forced more than three million people to flee their homes. 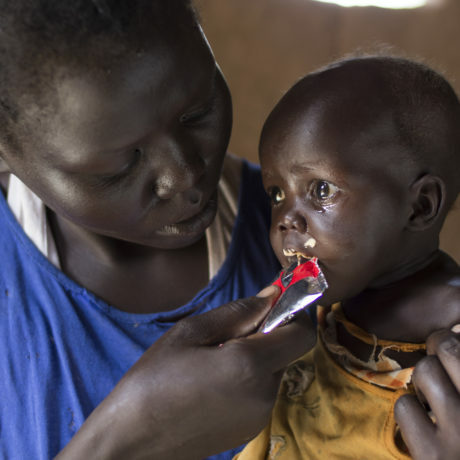 On Monday, February 20, the UN and South Sudan government declared famine in two counties of Unity state where more than 100,000 people are facing starvation. 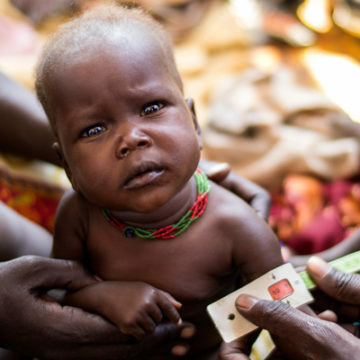 Just $30 provides emergency food to save a malnourished child's life. But how did South Sudan go from an American foreign-policy success story to a country on the verge of collapse? We look at the forces behind the current catastrophe. South Sudan is the world’s youngest nation, having gained its independence from Sudan in 2011 after decades of internal conflict. The United States played a large role in its creation, and Susan Rice, the former US Ambassador to the UN, was present to deliver remarks on South Sudan’s independence day. Hopes were high for peace. 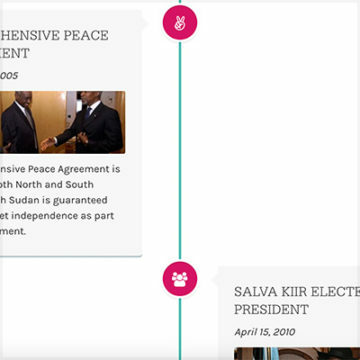 The world's youngest nation already has a tumultuous history — explore it in more depth in our timeline. Sadly, however, the country has been choked by violence since December 2013, when a civil war broke out that inflamed long-standing ethnic tensions. The conflict still rages on, despite multiple attempts to quell the violence that has displaced millions inside South Sudan, and forced more than a million to flee the country. Ongoing violence has left South Sudan’s economy in tatters. The country has extensive oil fields and is heavily dependent on them to support its economy, but South Sudan is landbound so runs almost all its pipelines through Sudan to get oil to port. When South Sudan accused Sudan of siphoning off oil from its piplines, the dispute led South Sudan to temporarily suspend production in 2012. The country’s financial reserves were heavily impacted and have never recovered. Even though South Sudan resumed production soon afterward and currently produces a small amount of oil, falling global oil prices mean low returns, and the ongoing conflict continuously disrupts production. Meanwhile, South Sudan’s debt continues to rise. The price for two pounds of maize flour leapt from 14 South Sudanese pounds to 120. That’s a price increase of 857%. As much as 85% of the South Sudanese workforce do not get paid for their labor, with most people relying on unpaid farming jobs just to get by. The conflict has had a devastating effect on already vulnerable farmers, who depend on the crops they grow to eat and sell at market for money. Agriculture has been disrupted not only by people fleeing — leaving their fields unplanted and uncared for — but also by flooding that has destroyed crops. It should come as no surprise, then, that South Sudan’s dollar has significantly depreciated, and inflation rates have soared. The last recorded inflation rate in December 2016 was a staggering 479.7% — the highest in the world. At the same time, extreme poverty has increased to nearly 66%. As most food is imported, ballooning inflation has caused prices for those staples to soar. The poor harvest in-country has also drastically reduced the availability of home-grown food, pushing prices up even further. Even those few with money to purchase goods face difficulty, as access to markets has been severely limited as fighting along roads prevents goods from reaching markets. Take the staple food of maize flour for example. Because of intensified and spreading violence in the past year, especially in South Sudan’s main food producing region, the price for two pounds of maize flour leapt from 14 South Sudanese pounds to 120 over the course of one year in the region of Aweil, where Concern operates. That’s a price increase of 857%. Our response focuses on: food distributions emergency nutrition, water and sanitation, and preventative health and nutrition. For people who do not earn money for their labor — which is the vast majority of the population — these prices put food completely out of reach. Ordinarily, they might rely on growing their own food, but conflict and floods have made it difficult for most people to grow enough to survive. Millions are already facing hunger, and hundreds of thousands more will be at risk over the coming months. “Humanitarian organizations are struggling to cope, as the escalating needs far outweigh the resources and funding available,” said Julia Lewis, Concern’s Country Director. Millions are already facing hunger, and hundreds of thousands more will be at risk over the coming months. It’s clear that the people of South Sudan cannot carry on like this for much longer. Without assistance, the situation will only deteriorate, fueling what is fast becoming one of the world’s largest refugee crises.